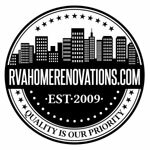 Based in central Virginia, Home Accents Renovations and Repairs take pride in beautifying and improving the homes and lives of people in and around central Virginia. Based in central Virginia, Home Accents Renovations and Repairs take pride in beautifying and improving the homes and lives of people in and around central Virginia. Built on foundations of honesty, integrity and top quality craftsmanship, we take our work very seriously. Having A+ Better Business Bureau certification, we specialize not only in delivering dream houses to our clients, but augmenting their overall experience with superior customer services. We realize the fact that in your lifetime, your expectations from your property tend to change. So, we are always there to respond, transforming your households according to your changing needs. That’s why, with most of our clients, we share relationships spanned on decades. Our clients show extreme confidence in calling us time and again to sort out their ongoing maintenance needs. We have devised a time-tested and efficient process, enabling us to avoid some common pitfalls of home renovation and remodeling services, i.e. poor communication, substandard design, flawed drawings, unnecessary delays in schedule, and cost overruns. We monitor the progress of your home renovation projects on daily basis, ensuring timely and efficient communication and project completion. We are legitimately licensed and insured. We have a proven track record of amazingly beautiful, highly functional and uniquely custom designs for all our projects at competitive prices. From plumbing to tiles and flooring, lighting fixtures to cabinetry, our interior design services are focused on catering any of your specific requisites in a seamless manner. We are in a habit of being extremely specific in budget details and project timelines, never violating any of them. We monitor our projects on daily basis to ensure timely completion, never missing out on any details. We also make sure nothing unnecessary in left behind when we leave, but only good memories, completely cleaning the project site.